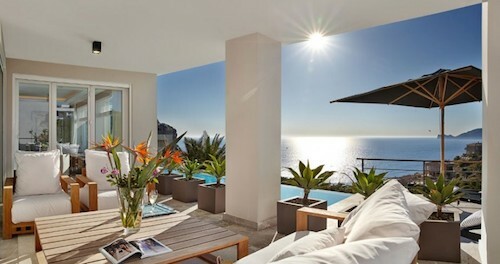 This luxury villa with breathtaking sea views can be found in Port Andratx, on Majorca, Spain. 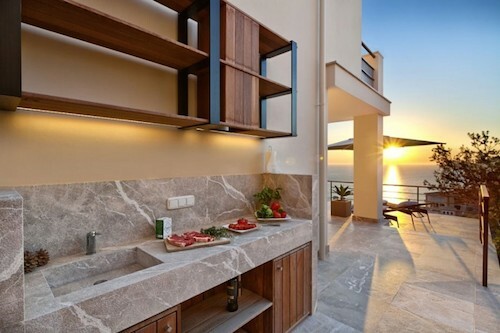 An outdoor sink bench for barbecuing is solid stone. 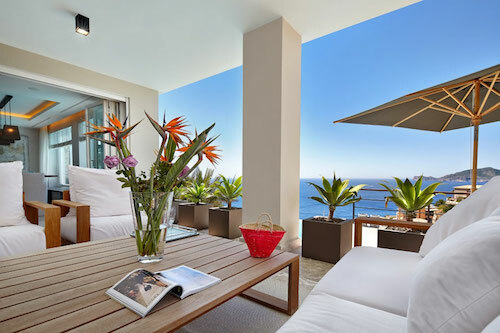 The warm tones of the terracotta roof tiles pick up the earthy palette from the local rocks. The house is in the traditions of the region. 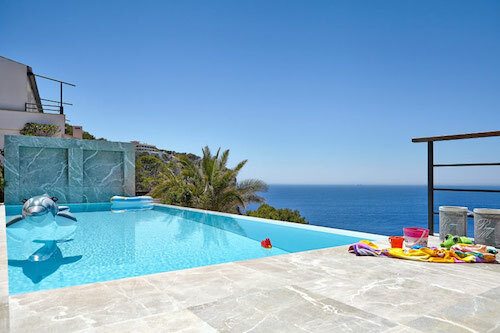 The stunning pool overlooking the sea is the height of luxury. 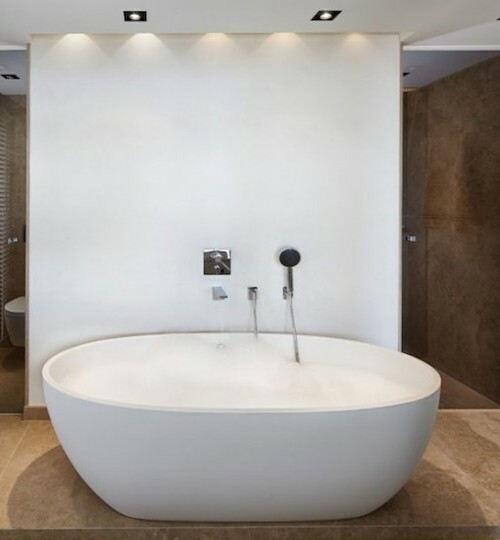 There is a gorgeous bathtub for a blissful soak. 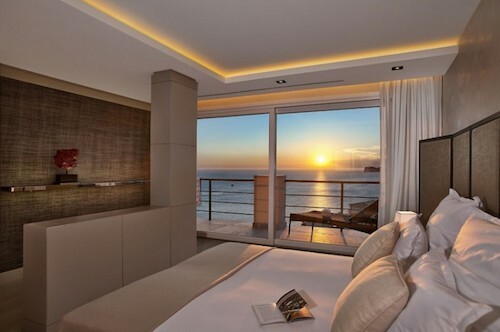 And at day’s end, a good night’s sleep can be had here. A dream home – and all yours for $4.9 million, natch. This entry was posted on Friday, February 13th, 2015 by Susan Kraemer and is filed under Architecture. You can follow any responses to this entry through the RSS 2.0 feed. You can leave a comment. Gorgeous! Making me wish it was summer already with these pictures.